Our Workshop Field Service can pay you a visit upon request. Would you like our experts to conduct a personalised training course on your own premises? No problem! 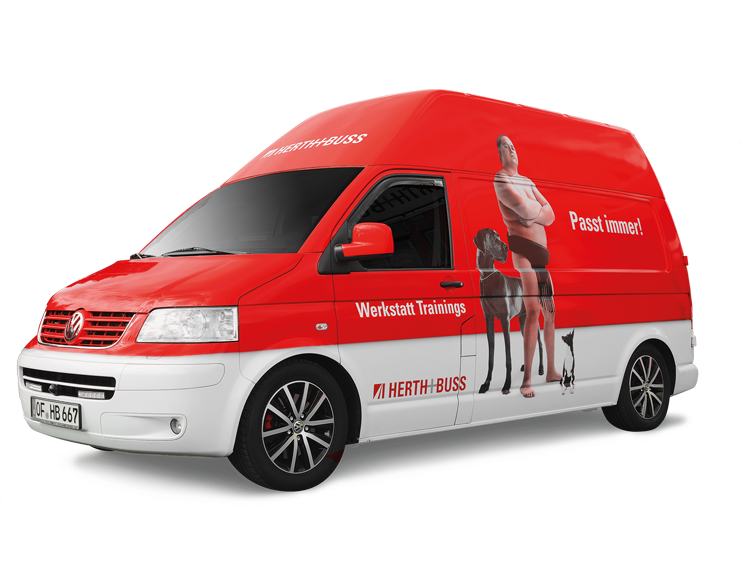 We can support you with product range presentations, product training courses and by coming up with custom sales solutions – to make sure that communication is effective, that you learn everything about new products straight from the horse’s mouth and that no questions go unanswered. 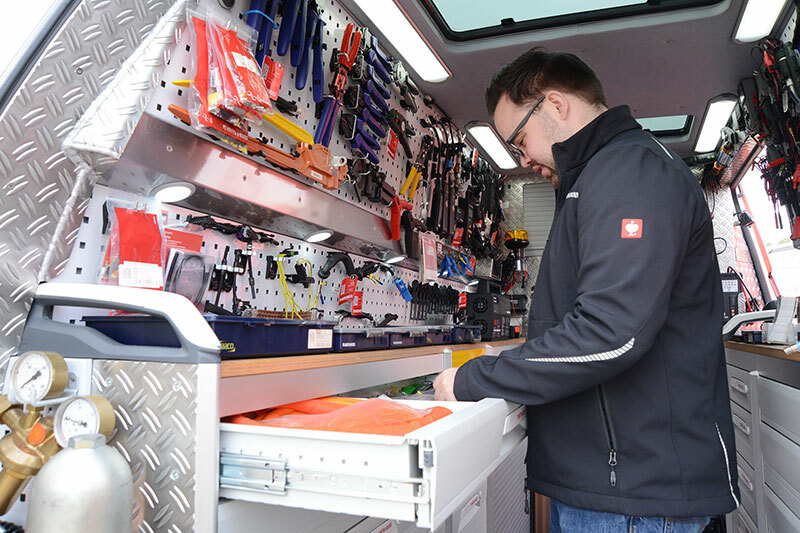 Ask your wholesaler and arrange a time for our Workshop Field Service to visit straight away. Only those who know everything the market has to offer and how to use something correctly can provide their customers with the best possible service. 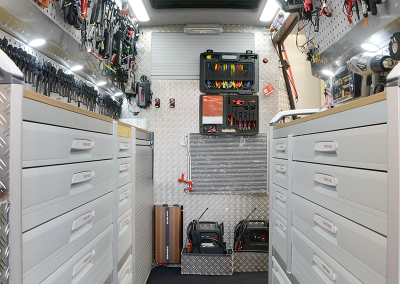 The Workshop Field Service’s crowning glory is its custom van. This is hardly surprising, as the converted VW T5 conceals a lot of attention to detail and carefully selected products that leave the occasional vehicle expert speechless. 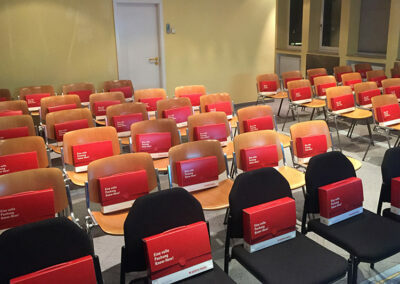 With the help of practical exercises, and in a language workshops will understand, our experts present the latest innovations from the Elparts and Jakoparts product ranges. 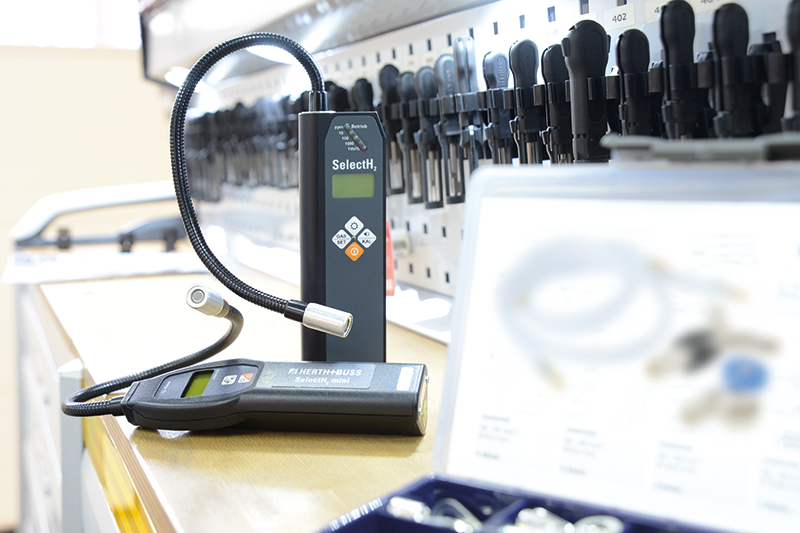 For example, we show you how vehicle diagnostics and leak location can be carried out quickly and successfully using modern tools. Do you have certain areas that you would like to focus on in particular? No problem. Our training courses can be tailored to meet your exact wishes and requirements. 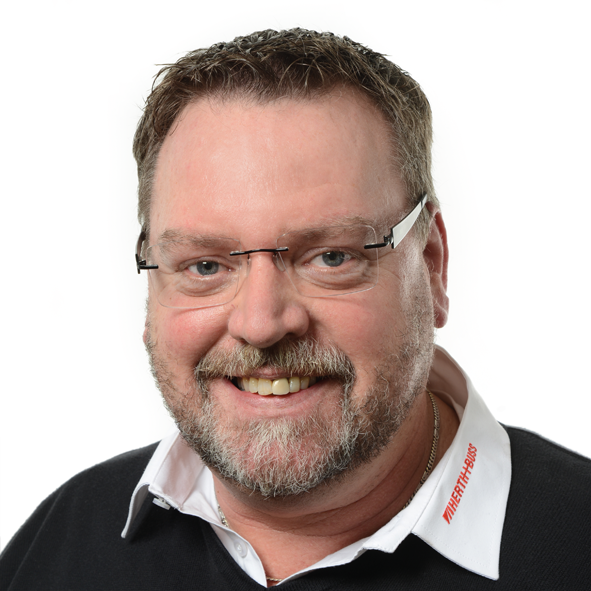 Modern vehicle electrics and highly technical contact connections often throw up a few questions. 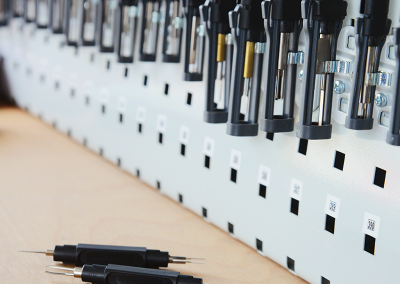 We conduct electronics training courses on our customers’ own premises to ensure they get all the answers they need. Our experts will be by your side with their expertise and the latest information from manufacturers. 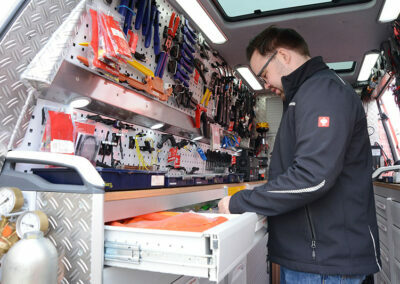 Our experts visit your premises to present the latest and most important tools, not to mention how to use them. Problems with establishing contact connections will be a thing of the past after this seminar. And lighting isn’t missing from the line-up, either: you’ll learn all there is to know about vehicle lighting, in addition to the most important applicable laws, regulations and standards. We are there for you when you need us. 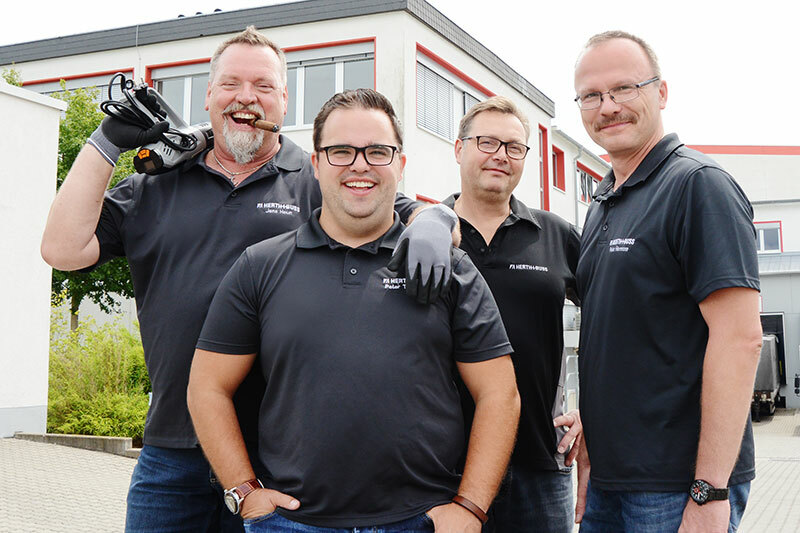 Our Workshop Field Service supports and accompanies you when you visit your own customers. You’ll learn first-hand all about the innovations in Herth+Buss’ product ranges, familiarise yourself with products up close, come up with custom sales campaigns and assist your customers with any questions about wholesale trade. Using the selective gas detectors from the SelectH2 product family, you can track down and fix leaks in air-conditioning systems in no time at all. 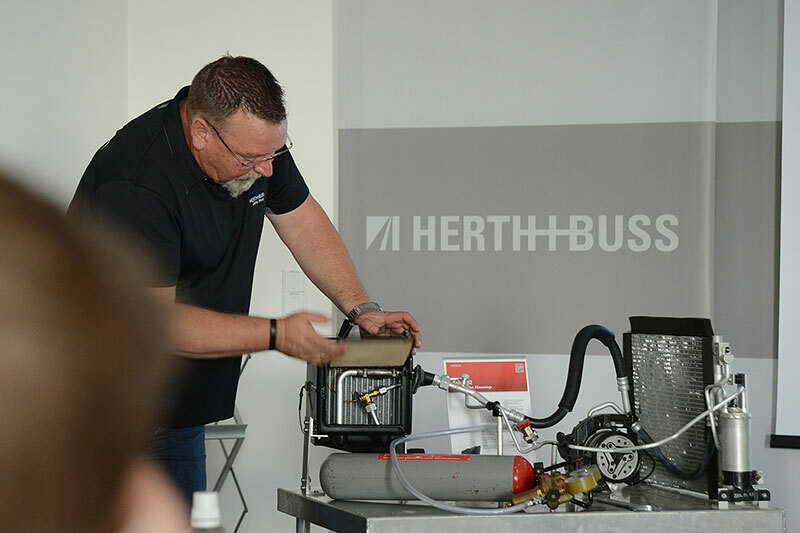 With the help of test units, you will learn how to quickly test and disinfect air-conditioning systems in this training course. Our Field Service will give you an introduction to this environmentally sound and precise alternative approach for servicing air-conditioning systems. In this training course, you will learn all there is to know about the programming unit for tyre-pressure sensors. Since November 2012, all new homologated vehicle models (class M1/N1) must be fitted as standard with a tyre pressure monitoring system (TPMS) according to EU directives. With our AirGuard, you are ideally equipped for this situation. Become a true specialist. In this course, you will find out just how easy it is to perform maintenance, repair and diagnostic work on Asian vehicle models with our Inspector. 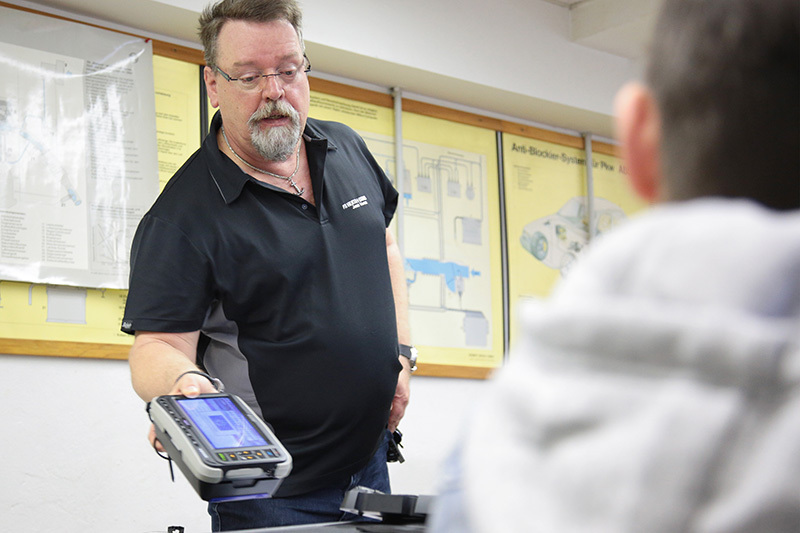 Our Workshop Field Service will present the Inspector to you through practical demonstrations – making it simple to understand – and explain all about its numerous advantages. Deepen your knowledge. In this training unit, you will learn in detail all about the particular characteristics specific to Asian vehicle manufacturers. 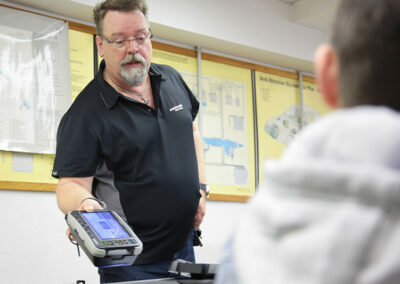 Our Field Service will train you in how to successfully use the Inspector in the workshop, in addition to how you can obtain all information relevant for repairs before putting this into practice. 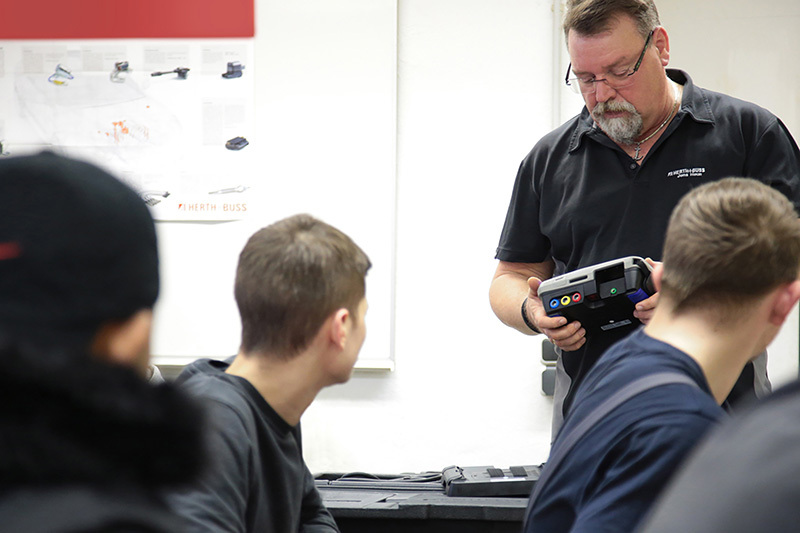 You will learn all about vehicle identification, special tools, system design and operation, control-unit installation positions and important plug connections. Although our car is mostly driven by my wife, the spring check is a fixture in my diary. I then roll up my sleeves and make sure our car is all set for spring. And even if it’s a demanding job, I always enjoy doing it – a car check! During winter every car has a lot to deal with: rain, snow, ice, salt and a whole lot more. All that doesn’t just spoil the look of a vehicle, but doesn’t do the electronics and mechanical parts any good either. I haven’t forgot this and today I simply add a car check when I’m changing over the tyres from winter to summer. This of course includes checking and topping up all fluids such as engine oil, radiator antifreeze, brake fluid and windscreen washer fluid. Tip: I can particularly recommend using the mouldable funnel so as not to spill any engine oil! 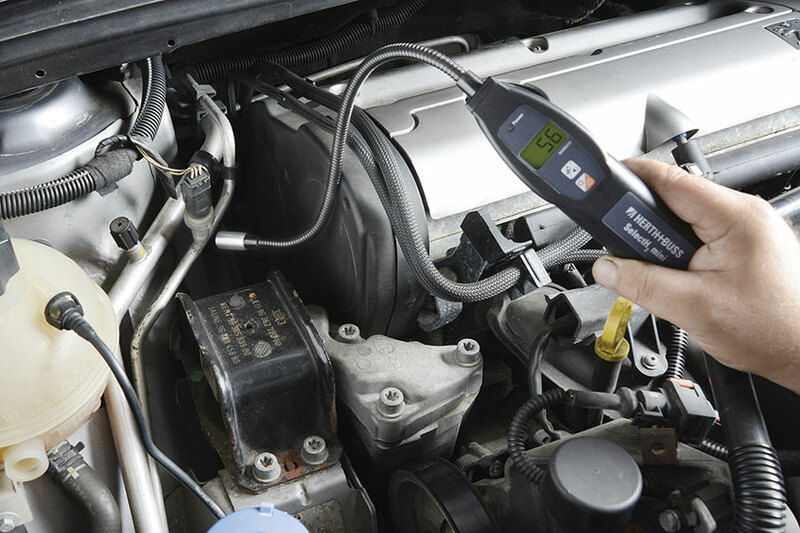 If you want to check the radiator antifreeze and brake fluid, there are two test devices that are perfect for the task. Tipp: Um nicht mit Motoröl zu kleckern, kann ich euch vor allem den formbaren Trichter empfehlen! Wenn man den Kühlerfrostschutz und die Bremsflüssigkeit prüfen möchte, gibt es zwei Prüfutensilien, die hierfür genau richtig sind. 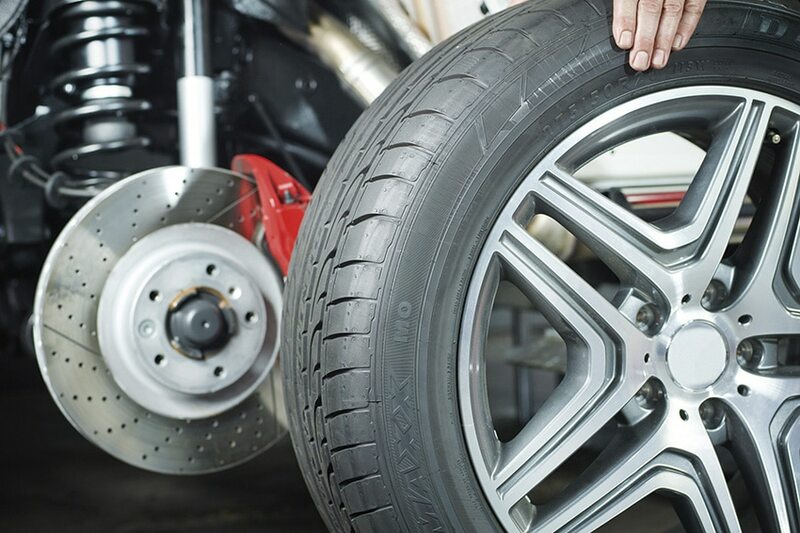 When changing wheels, I inspect all tyres for damage and wear patterns and also check the tread depth and date of manufacture. I additionally check the tyre pressures and correct them if necessary. Air pressure is a key factor here! If it’s wrong, it will affect the braking distance, as well as the wear on tyres and many other things. While I’m at it, I also check the thickness of the brake pads and brake discs. I use a vernier calliper here. It’s also very important to make sure the lighting system is functioning properly. It’s a good idea to check your lights, particularly after winter. Moisture, chippings and gravel can easily damage the headlights. You should thus inspect all external lights – indicators, reversing lights, headlights and licence plate lighting – to see if they’re working properly. If a bulb is faulty, I grab my bulb assortment and replace it. Every spring I change the passenger compartment air filter. This doesn’t just ensure clean air throughout the car, but protects the interior from insects, pollen and petals. I apply lubricating grease to the door locks and hinges, as door hinges tend to squeak after a cold winter! I also check if there’s anything missing from the first aid box and that the expiry date hasn’t been exceeded. Windscreen wipers don’t generally come out of a hard winter unscathed either. I change them as well. Last of all, I give our car a full clean and polish both inside and out, including an underbody wash. This removes mud, road salt, etc. Have you got any other tips here? I’d love to hear from you. I now wish you bon voyage! When it is a question of First-to-Market (FtM), the first step is invariably our Research+Development department (R+D). To make sure we’re always able to offer the most common spare parts for brand-new vehicles right away, they have to be developed as quickly as possible. Items with our First-to-Market promise include for example the product groups brake discs and brake blocks as well as oil filters, air filters and passenger compartment air filters. 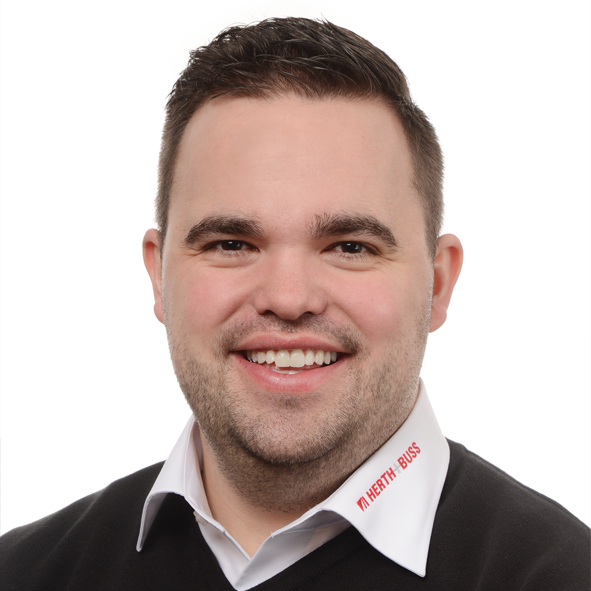 As one of the product managers for the Jakoparts range, I am responsible for managing product groups among other things. My responsibilities include developing the range, i.e. item quality and quantity, price negotiations and contact with suppliers. A structured process is required if we are to uphold the First-to-Market promise for the three groups of filters. 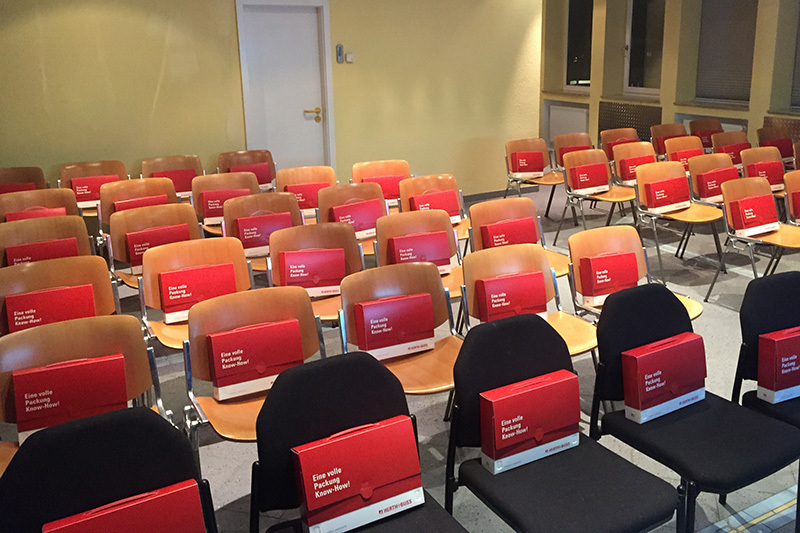 The first step is for our R+D Team to analyse and prepare the monthly report for new cars issued by Germany’s Federal Motor Transport Authority (Kraftfahrt-Bundesamt). However, at the time of reporting important technical information is often not available for a specific vehicle type. We then have to wait until the vehicle manufacturer makes this data available. 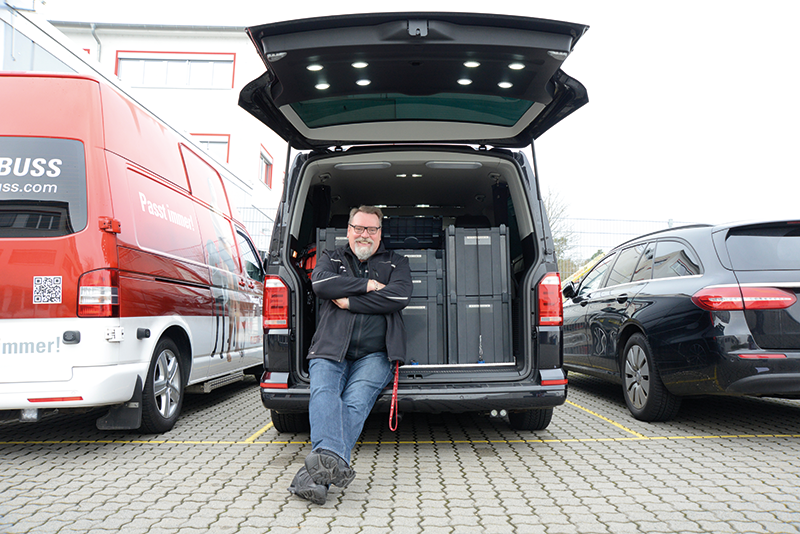 As soon as the R+D department has all this information, our colleagues enter the new vehicles in our database. As the next step, development lists for all product groups relating to the individual cars reported are generated at Herth+Buss. The actual development work now begins here for R+D, who number and register the respective parts with the help of the relevant EPC (manufacturers’ parts catalogue). The final step is then to hand over the items used to product management or the product manager responsible. Product management and Research+Development work hand in hand to keep the first-to-market promise. If we are to keep our First-to-Market promise, I now have to analyse the items as quickly as possible. Corresponding OE numbers (manufacturer’s original parts numbers) are already added to the newly generated article number. If I discover on analysis that we can allocate the OE number to an item that is already active, I replace the item with our activated article number and it’s then immediately available. If the item really is a completely new article, I ask our supplier for the OE number. We now have to hope that this new item, of newly reported recent cars, is already manufactured by our suppliers. If this is the case, I can then activate the item and update all relevant information here. 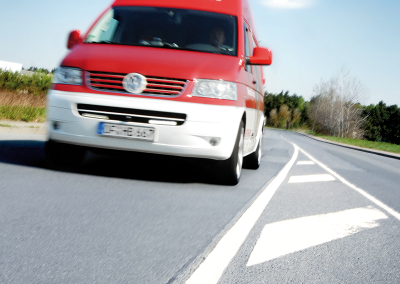 If the item or OE number isn’t known to the supplier, we’ll help him develop it as quickly as possible. This is the only way for us to offer the item and keep our First-to-Market promise. 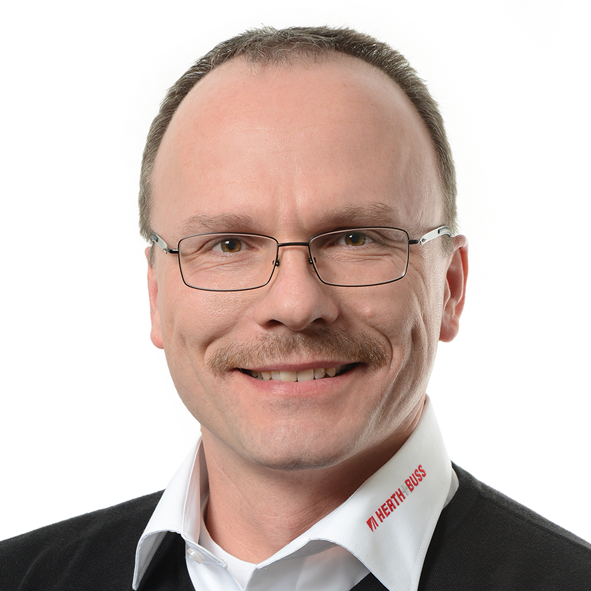 For me product management has been the most interesting stage of my career at Herth+Buss. Every day there’s something new and exciting waiting for me in my role. This job is incredibly varied, not just as regards the development of new items and assisting with this process, but also cultivating and upholding the FtM promise. And it’s always a race against time as well – a challenge I’m happy to face up to. 6 workshop tips for perfect air conditioning service! 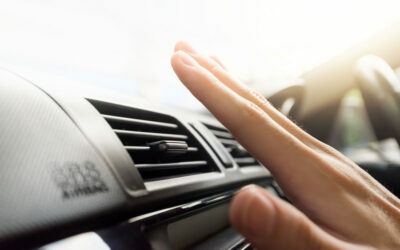 Now that spring has sprung, it’s already time to think about air conditioning! Yet hardly anyone will lose sleep over servicing their air conditioning at this time of year. But when the first rays of sunshine poke through and a heatwave like the one we had last year strikes, then fully operational air conditioning is an absolute top priority! We observed a trend in summer 2018 whereby an unexpectedly hot summer led to all home air-conditioning units selling out completely across the board. The same applies for vehicle air conditioning, too. 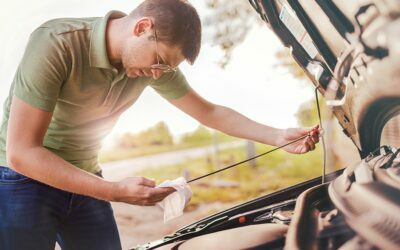 While there might be ever fewer vehicles that don’t have any form of air conditioning, even a faulty or insufficiently serviced air-conditioning system in the car can make summer an absolute nightmare! With this in mind, it’s no bad thing when workshops already start giving customers advance notice to get their air conditioning serviced or repaired. In this blog post, we’ll reveal our top workshop tips for a cool summer, happy customers and options for expanding your range of services. All functions are checked in addition to inspecting the general control panel of the air-conditioning systems in question. Tests for pressure, leak-tightness and damage to the hoses and lines are all conducted initially. Potential causes indicative of an incorrectly functioning air-conditioning system can already be deduced on the basis of this first test. Over the course of a year, the air conditioning loses up to ten per cent of its refrigerant. To ensure the appropriate cooling performance, the refrigerant must be regularly drained and refilled in the right quantity. It goes without saying that the manufacturer’s specifications must always be observed for any work on the system. If anomalies indicative of a malfunction in the air conditioning are detected during a comprehensive inspection of the system and its individual components, these must be remedied. How can errors be corrected? If there is a leak in the system, we recommend using our SelectH2 selective gas detector. Additional tests can be conducted using the handy leak-location set for air-conditioning systems (article number: 95980028). Even the smallest leaks can be detected with ease because the SelectH2 reacts with keen sensors to the forming gas, which – as we all know – is made up of the smallest atoms. Using our pressure-loss tester (article number 95980026), the air conditioning can be checked for leaks after repairs have been carried out. The measurement report confirms that work has been conducted properly in the event of warranty claims. 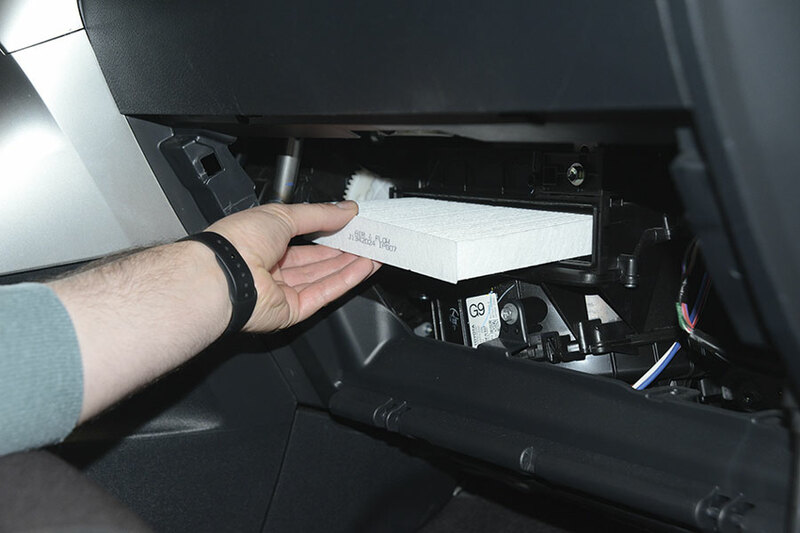 Both devices offer automotive workshops new methods of searching for defects in car air-conditioning systems that save time and money and – above all – protect the environment. 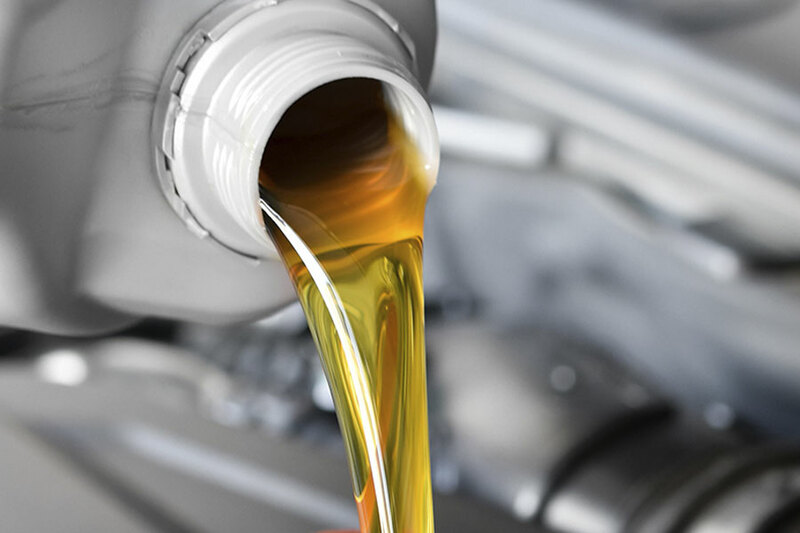 One important tip for all air-conditioning service devices which do not automatically refill the compressor oil: the compressor oil drained must be replaced with the same quantity of new oil. 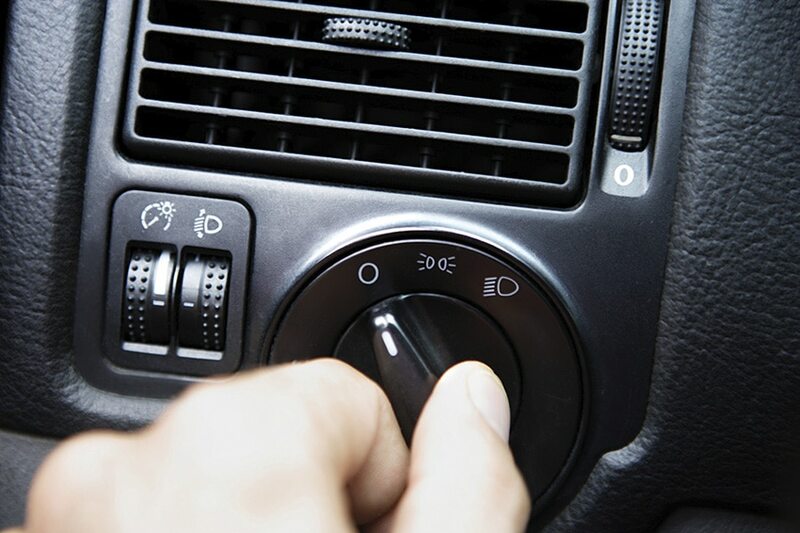 If any parts of the air-conditioning system are replaced, the missing quantities must be refilled for these as well. Good air-conditioning servicing also includes disinfection of the ventilation system. Bacteria and fungi can accumulate on the vaporizer and be distributed throughout the vehicle when the air-conditioning system is started up. Allergy sufferers in particular benefit from the vehicle interior being thoroughly disinfected. Using our AirClean system (article number: 95921003), you can disinfect the vehicle interior and its air-conditioning system with a minimum of effort on a purely mineral basis, eliminating germs, fungi, viruses and bacteria in the process. This cleaning system is based on a powerful oxidising agent consisting of an aqueous solution with a low sodium-chloride content and prepared by means of a special electrolysis process. 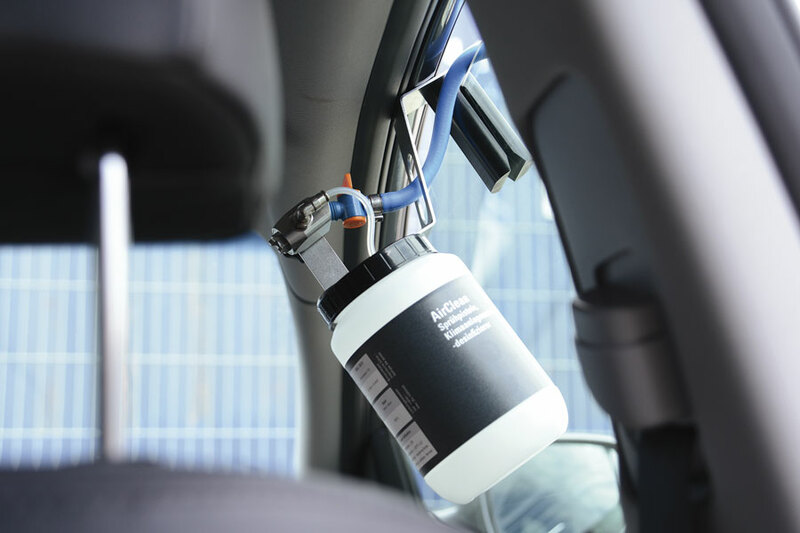 The disinfectant is distributed in the vehicle interior through the air intake so as to reliably eliminate germs, fungi, viruses and bacteria. 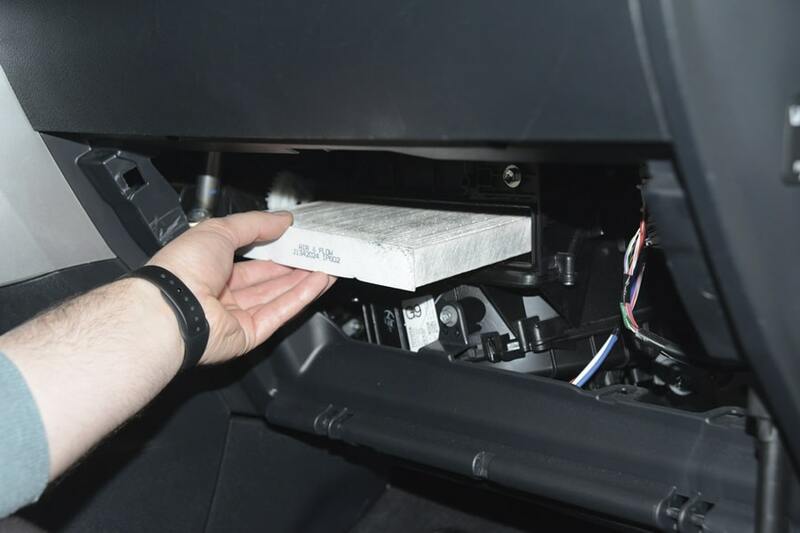 The passenger-compartment air filter (article number: J134…) ought to be replaced during every air-conditioning service in order to supply the vehicle interior with sufficient clean air. To that end, our Jakoparts range includes an extensive assortment of air filters for the passenger compartments of Asian vehicle models. The Climate Protection Ordinance must be observed, and its regulations adhered to at all times. 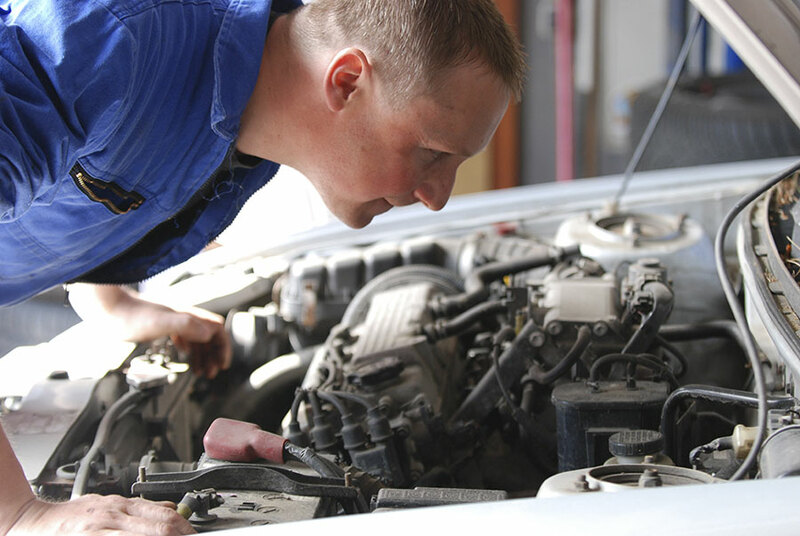 Alongside considerations related to the health of the vehicle’s occupants and the technician conducting the work, a properly conducted repair protects the environment and your wallet! Non-observance can be punished with a fine of up to €50,000. 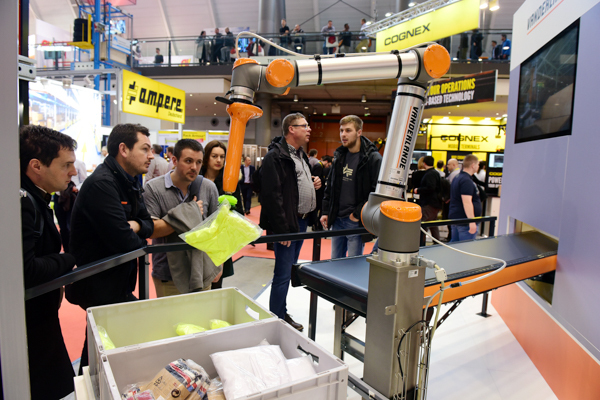 This year’s LogiMAT – the International Trade Fair for Intralogistics Solutions and Process Management – took place in Stuttgart once again. 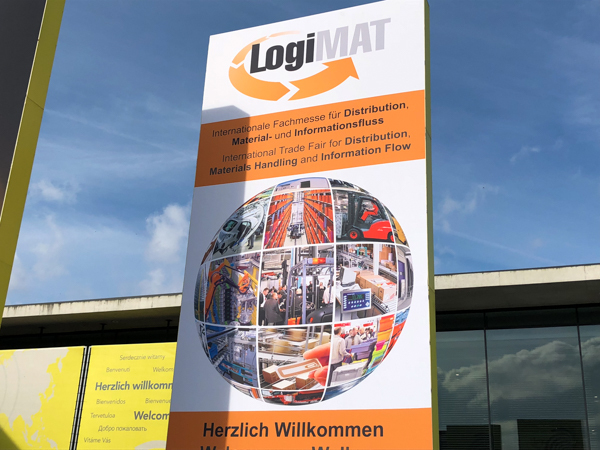 LogiMAT gives visitors a comprehensive market overview of everything connected to the intralogistics industry. It covers all manner of topics – from procurement and production through to delivery – and is attended by a range of international exhibitors who introduce innovative technologies, products, systems and solutions for the rationalisation, process optimisation and cost-reduction of internal business logistics processes. 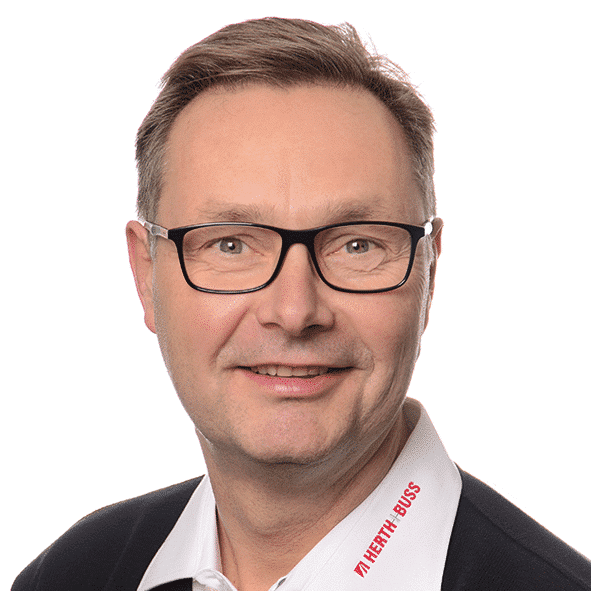 Intralogistics at first hand – Intelligent-Efficient-Innovative! It was clear to see that the motto was reflected in each of the individual exhibitor stands. 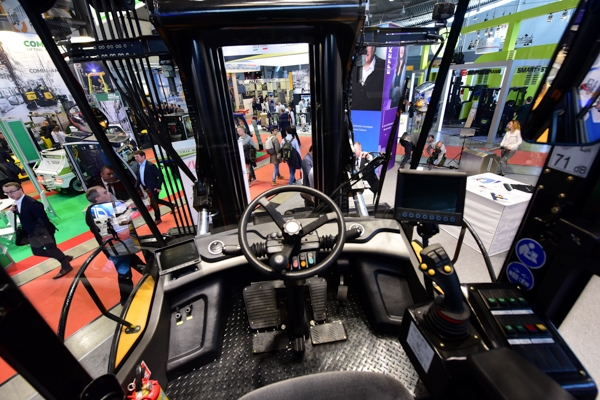 The exhibitors had more or less everything covered, from fully automatic driverless transport systems in high-bay warehouses and system solutions for day-to-day logistics operations, through to smaller offerings, such as a forklift warning light for lighting up the way. 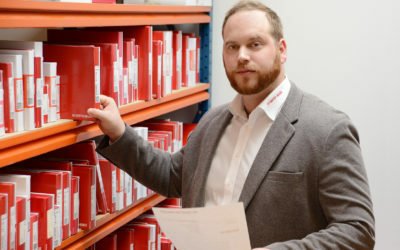 This year we had pretty clear targets on our agenda, including investigating inventory sampling, browsing for alternative delivery packaging and getting up to speed with the latest developments in industrial truck manufacturing. As the markets are always changing, they require a flexible and innovative logistics approach and processes need constant monitoring and optimisation. It takes a good degree of intuition to sift through all the offerings and select the right products and solutions – the ones that will help us to optimise our internal business operations with precision. Inventory sampling proves the accuracy level of your inventory management. This means checking whether the inventory levels recorded on the system match the stock levels in the warehouse. The SAP system we use is compatible with the inventory system and, as a result, it would be easy to implement over the course of the year. Inventory sampling doesn’t just make counting stock significantly easier but also saves time and money. Not every inventory item needs to be checked in person. It’s enough if around as little as 10 percent of the entire warehouse stock is counted. The remaining items don’t need to be counted. Inventory sampling is based on the principle of random sampling, which dictates which items should be counted. At LogiMAT we spoke to a company called INFORM, who explained this concept in a bit more detail. The conveyor is used to unload the delivered container goods and has been in operation for quite some time now. As a result, it is starting to show some wear and tear. The question at the moment is whether the wheel conveyor used for incoming goods has individual parts that are interchangeable or whether we need to appoint a technician to help deconstruct the entire conveyor. After a short discussion, it became clear that it would be quite easy for us to just exchange the segments ourselves. We have discovered an alternative for the air cushions that we are currently using for our load securing. Instead we can use filling material made from paper, which is considerably more eco-friendly. It also withstands the pressure from heaver loads without bursting. By using this material, we can guarantee better protection of our items. Another highlight was the attendance of various different cardboard box manufacturers. In future, we plan to order samples of boxes that have a crash-lock in the base – which means the bottom locks into place automatically when being assembled. With these types of boxes, the arduous task of taping down the flaps will soon become a thing of the past. As well as using adhesive tape more sparingly, another advantage of these boxes is the time that is saved through not having to fold and stick them down. However, it will take a lot of time and patience for us to find alternatives, as the boxes have to meet all of our requirements, such as stackability and load capacity. The aim is to make handling the dispatch boxes as easy as possible for logistics employees, as they have to work with them on a daily basis. 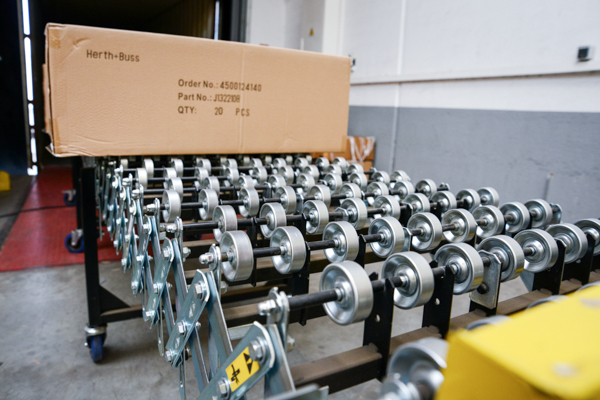 At the moment we use our system pallets for the package picking process on the lower ground floor – using either a forklift or hand pallet truck. However, the pallets often get knocked on the left or right when being lifted, which can damage the wood. As a result, we approached a company called Arcawa to find some alternatives. Possible solutions we are considering include load carriers made of metal or plastic rather than the fast-wearing wooden pallets. At the moment we are checking what the requirements for an alternative solution to the wooden pallets would be. 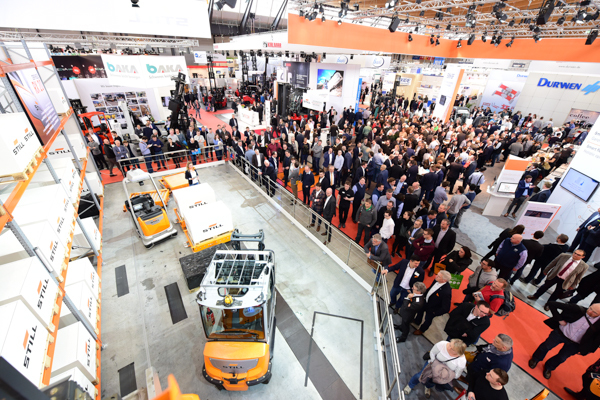 Once again, our visit to LogiMAT 2019 was a huge success. We returned full of ideas and perspectives and hopefully will be able to adapt these for future operations at Herth+Buss. Progress within the intralogistics industry remains, as always, impressive and offers the ideal solution for any process. And on that note we can proudly say that the standard of Herth+Buss logistics is already extremely high – something which is undoubtedly plain to see. 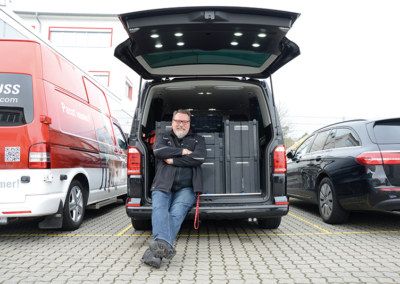 We are looking forward to the next LogiMAT and excited to see the type of new and innovative solutions that the year 2020 has in store for us! If you would like to take a look at our agenda from the LogiMAT in 2017, just click here!